☞ New Exhibit. New Folder. 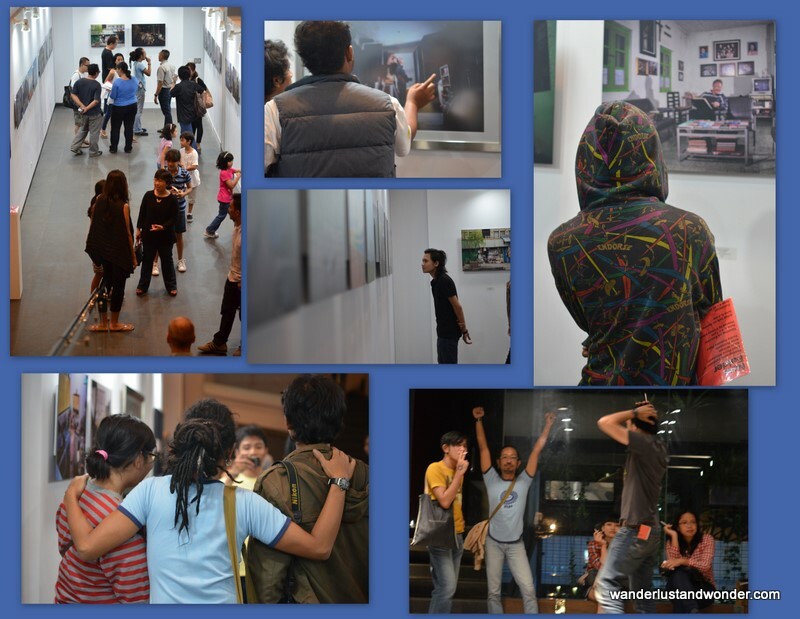 Inkubator Gallery has a new exhibition up entitled New Folder, featuring works by 4 emerging photographers from Jogja’s MES56, it’s an exhibit that was created over the course of a year and explores contemporary photography in a fresh and engaging way. Aderi Putra Wicaksono’s Animal Series presents us with four photographs, each consisting of groups of people forming animal figures. Painstakingly choreographed, the photographs are detached from the everyday function of photography (i.e. documentation of an event), and serve instead as mindful compositions of a fabricated occurrence. Andri William also uses his camera to present us with a manipulated reality. His series, Similarity, consists of four pairs of prints, each depicting what at first looks like a snapshots of an ordinary individual, but is then revealed to be deceptive, as each print has a virtually identical counterpart by its side. Andri’s work explores the meaning and associated implications of identity and create an overt awareness of just how misleading those perceptions can be. 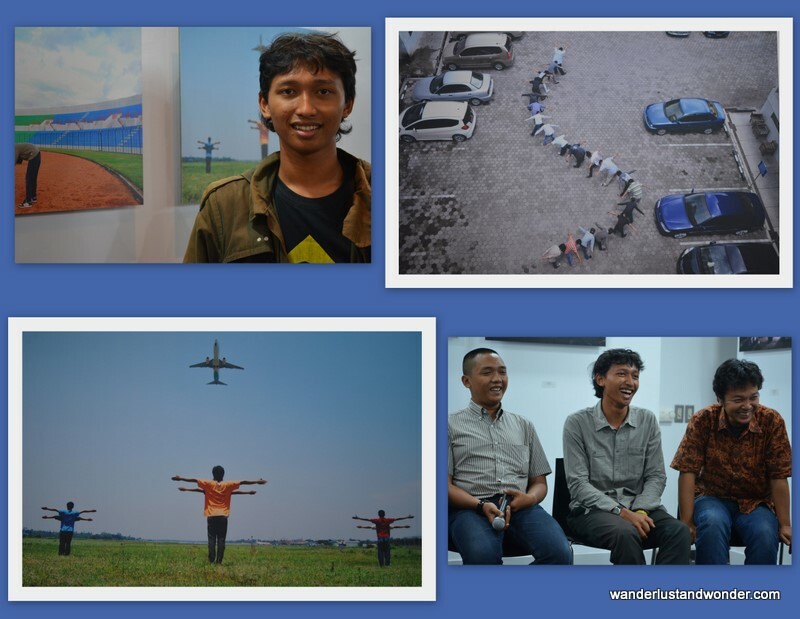 Arief Pristianto (center) and his work. Arief Pristianto takes us in a different direction with his Invisible series. 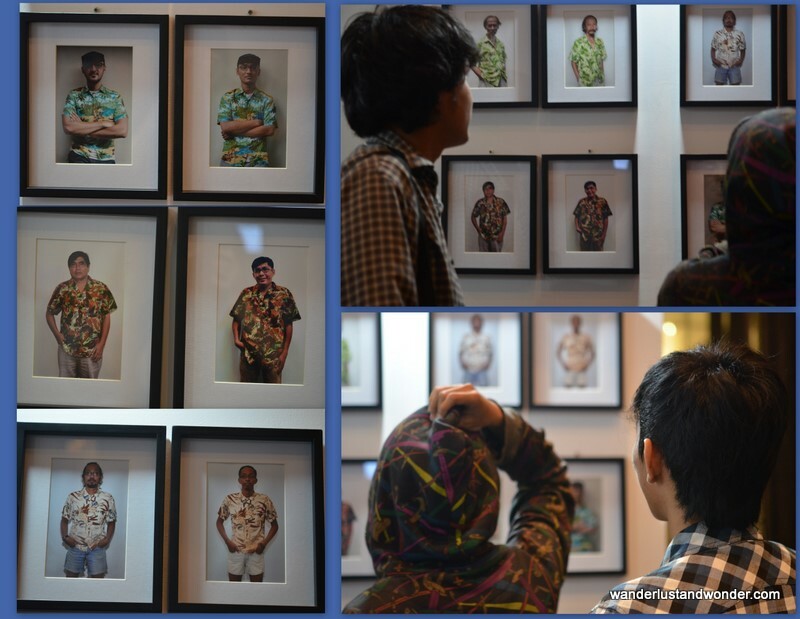 In each of Arief’s photographs a camouflaged model is hiding in plain sight. 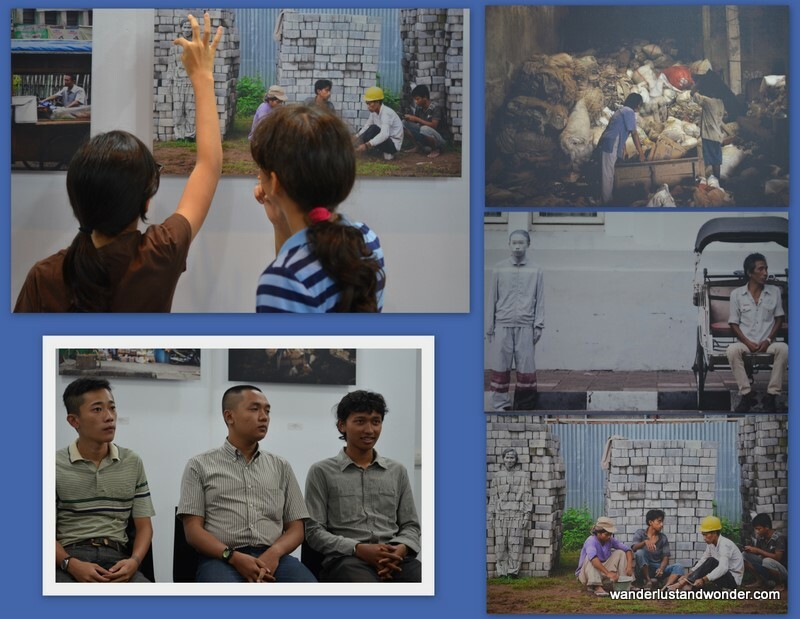 Using the same technique as iconic artist Liu Bolin (where a person is painted into the background of a photograph), Arief juxtaposes a camouflaged person with a common profession, to highlight how they too are marginalized. Arief equates marginalization with invisibility as those sidelined by society become invisible; stripped of their individuality and seen only in terms of the service they perform/provide. 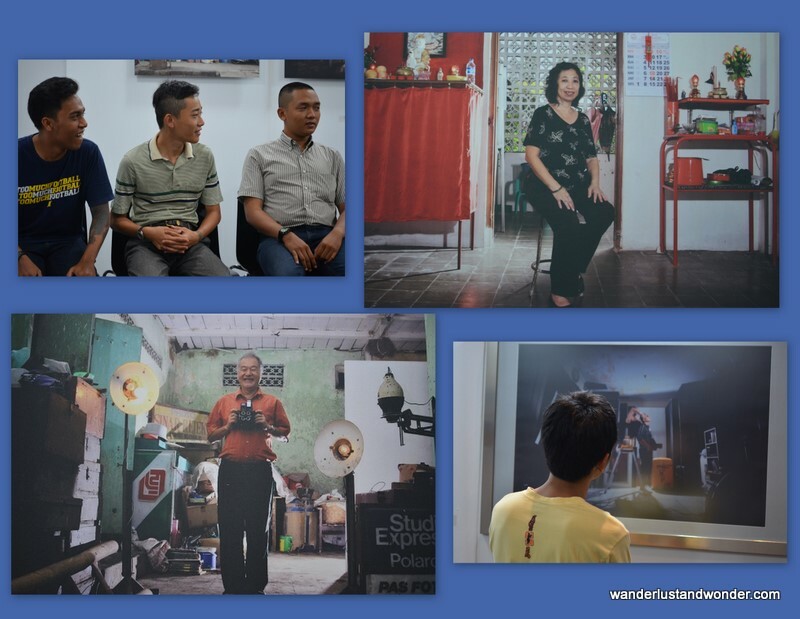 Yudha Kusuma Putra (center) & his Family series. Yudha Kusuma Putra takes a much different approach in his work. Yudha’s Family Series articulates a narrative that is at once personal and heartfelt. His photographs portray a family member (mother, father, or brother) as the central figure in portraits that capture their everyday activities and passions. Warm and insightful, each photograph is as much an homage as it is a portrait. Inkubator’s fifth exhibition explores our notions of identity and reality. None of the works were happenstance snapshots. Each was a carefully crafted portrayal of a reality/narrative that the artist fully controlled. New Folder is a contemplative exhibit that will leave you chatting about the works long after you’ve left the gallery.